One of President Trump's favorite news sources is calling him out for failing to condemn white supremacists. The New York Post laid into Trump on Monday in an editorial titled "Trump badly missed the mark on Charlottesville." White nationalists and counter-protesters clashed there on Saturday, and a woman was killed when a car plowed into a crowd. Trump condemned the "egregious display of hatred, bigotry and violence on many sides, on many sides." "Really: That was it," the Post's editorial board wrote. "It shouldn't be that hard to summon up a few Trumpian terms like 'losers' and 'really, really bad people' to describe the hundreds of neo-Nazis, Klansmen, white supremacists and the like who descended on the college town -- not after one of them has killed an innocent." The editorial was not the first time in recent months that the Post, owned by the conservative media mogul Rupert Murdoch, has been critical of Trump or someone in his orbit. In July, the tabloid called Donald Trump Jr. an "idiot" and "criminally stupid" after reports that he met during the campaign with a Russian lawyer. 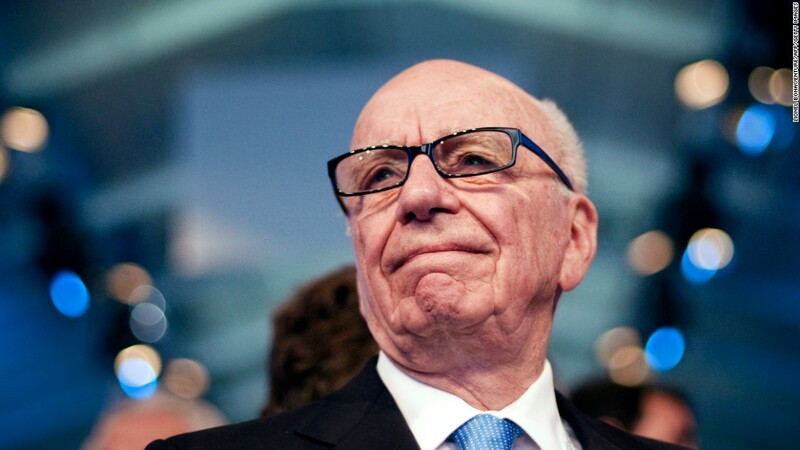 Murdoch speaks regularly by phone with Trump, according to The New York Times. Trump is a longtime reader of the Post who has it delivered to the White House. Related: Rupert Murdoch's papers criticize Trump; is the mogul sending a message? The latest Post editorial said there was "no doubt" that the counter-protesters included "a fringe of hard-left losers." "But the vast bulk of them had nothing to do with 'hatred, bigotry and violence,'" it said. "You don't have to be any kind of radical to be anti-Nazi." Trump's response was widely criticized, including by Republicans. "Mr. President - we must call evil by its name," Senator Cory Gardner of Colorado said on Twitter. "These were white supremacists and this was domestic terrorism." Anthony Scaramucci, ousted after 10 days as White House communications director last month, told ABC News said he thought Trump "needed to be much harsher as it related to the white supremacists." Others in the White House spoke out more strongly against white supremacists or the alt-right. Among them were the president's daughter Ivanka, Vice President Mike Pence and national security adviser H.R. McMaster. A White House official told reporters on Sunday that Trump "of course" condemned "white supremacists, KKK, neo-Nazi and all extremist groups." The official requested anonymity.